Hi everyone! I come to you today with a very far off chance request. 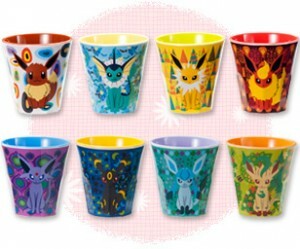 I have been hunting for the Espeon x Umbreon teacup from several years back. I know it was rare when it came out and most people with them covet them. That said, is anyone selling one/knows someone who is selling one/has seen one anywhere? I have no idea what their worth is, I just know I've wanted one for years. EDIT: Shipping status updated, shipping prices listed! 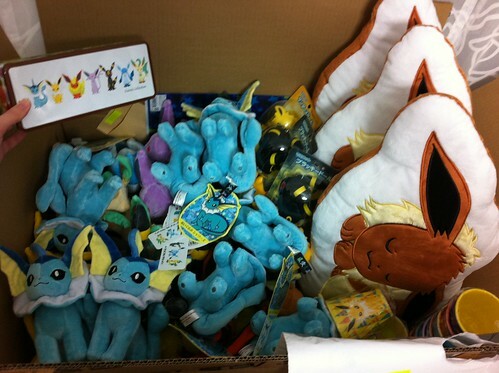 So the report is: no cup/bowl sets, no blankets, and almost no Vaporeon PC plush. Of the 8 I needed 5 have minor to no damage. 3 have what I call "medium damage." That means there is a dent or small bend in the tag. I need to know who doesn't care about perfect tags on your Vaporeon PC plush. If you don't want what I got you, I will gladly refund you and/or try again to see if they come back in stock, but they are now sold out at Tokyo and Yokohama.... IF YOU ORDERED A VAPOREON PC PLUSH PLEASE LET ME KNOW HOW YOU FEEL ABOUT THE TAG ASAP. Tag preference is first come, first served. Say uh...the wiki isn't working (did it go down? I get a random domain thing) and so I turn to you. What exactly is a "chou get"? I have a whole bunch of figures I *thought* were chous, but I see so many bases on different figures marked chous that I get confused. Some of mine are raised, hexagonal, and have small ridges to interlock, while others are flat with interlocking flaps. The raised ones are all DP though so I'm not sure if that makes a difference. 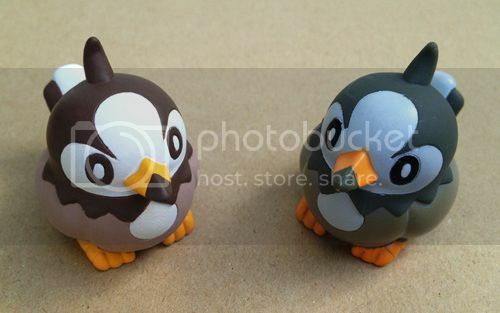 Did they change, or am I looking at two different figures here? 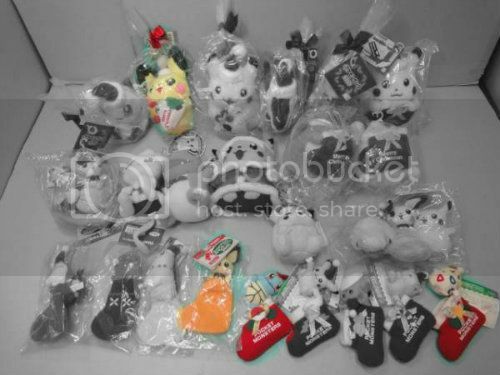 Eeveelu Tumbler Group Buy - Payment 2! atlantia_rai has received the shipping invoice from Noppin, so it's time for payment 2! Unfortunately, I had to add an extra dollar to each tumbler this time because last time I forgot to account for PayPal fees when calculating payment... sorry about that guys! Quick Question and exciting gets! The way that I display my plush, isn't that great for the tags (Plush pile on a shelf). 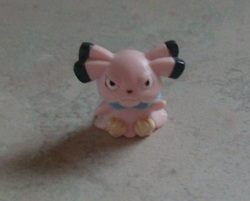 I bought a bunch of the plastic look tag things from eBay, and was planning on cutting them off and reattaching them if I ever sell them, but when I got the tags in the mail, I realized they are slightly different from the tags used on Pokédolls. Do you think that would make a different to someone or would that be more of a personal preference type of thing? Also! I was very excited when I went to my local Toys R Us to find these guys! Hey, everyone! My lot on eBay didn't sell, so I'm putting the stuff up for grabs on here in an attempt to get some money back for the holidays! Finally got my shipping invoice from From Japan (one item took forever to get there, it wasn't FJ's fault!) and the bank fees made it WAY more pricey than anticipated, so, hopefully you'll find something you want for your collection here! 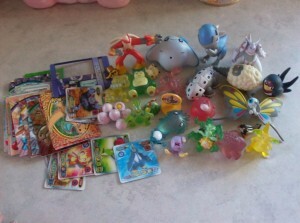 :D There's TOPPS cards, 3D cards, and lots of figures! And on to my questions! Can anyone identify these figures for me? Hey hey, so this is a boring wants post. I'm planning on doing a collection update soon, just waiting on some items to arrive. - Any Absol Plush (don't think I'll be able to find any Absol plush in my price-range but it's a want none the less). 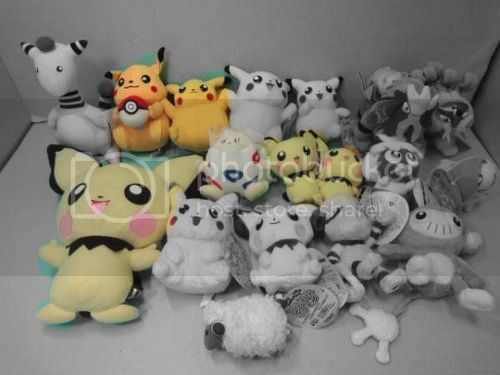 I have limited funds being me and with things I have to pay for as opposed to fun things and have seen like on Ebay hey Cheap like REALLY cheap pokemon plush and figures and am like i Have no Idea if they are licensed or how well they will hold up cause like I have seen them elsewhere so much more expensive is Ebay a good place to buy plush and Figures? and same with Amazon good place or no? and Would I be better off just stalking here and buying my Plushes and figures from here since I know all your things that you sell are well taken care of and all real licensed products. 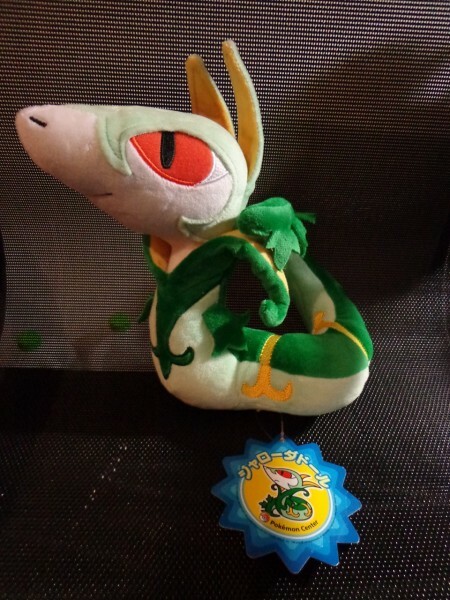 I just want to know the safest bet for getting Good quality plush and figures as opposed to cheap ones that fall apart on me. 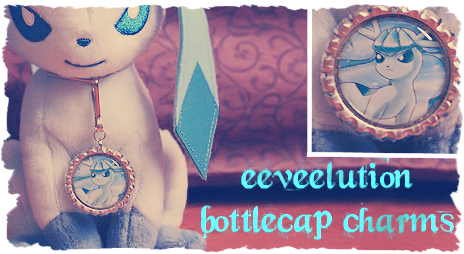 Under the cut I have slots for Eeveelution bottlecap charms. 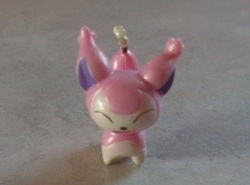 I also have a few other cute Pokemon to offer. This was sitting on my porch this morning (unfortunately I couldn't open it just then as I was going somewhere), and with the neighborhood I live in I'm lucky it wasn't stolen. I'm almost done my collection site, I just need to do the zukan page… it's so frustrating trying to get a clear shot of the individual zukans… I may just post the site before the page is finished lol. Because I've been getting into building models due to a ho-oh kit I've also been wanting to learn how to paint them. So my spare starly kid became the test subject and it didn't turn out half bad! 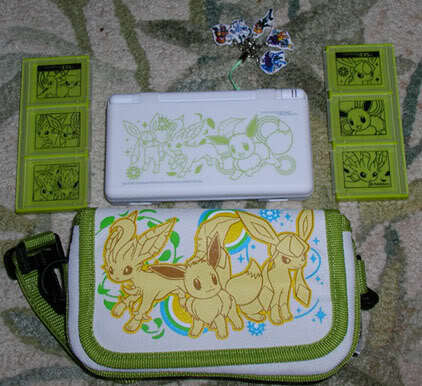 Well; I have quite a few random items to show off; including Eeveelutions, Raichu, Zukan, ANA, and other random things! I'm awaiting a few more items; but I will be moving shortly so I thought it best to write a post now. Just a little sneak peek I drew! Secondly, I have a quick question for you guys. I got some Retsuden stamps recently but they are almost running out of ink. 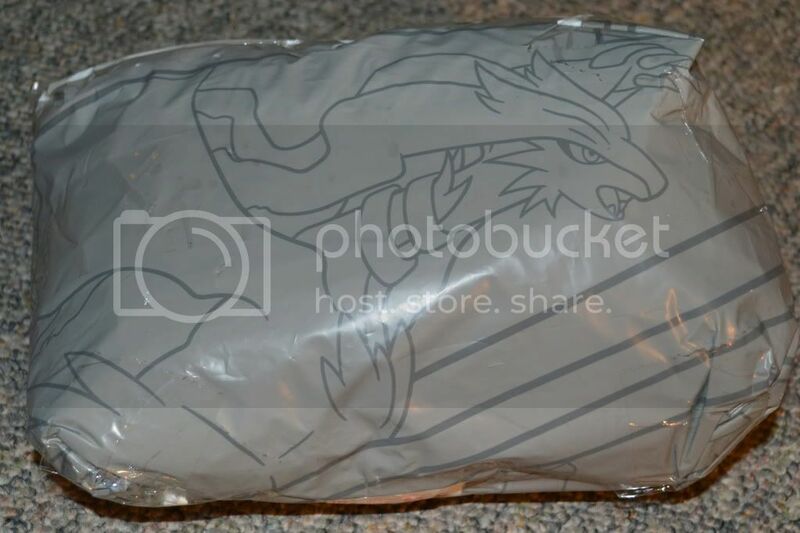 Do you know from which website I can get three different ink pads that meet the colors of the Articuno, Zapdos, and Milotic stamps? BTW, where do you usually stamp your Pokemon when you send a letter or package? I am so eager to try each of them. So guys, can you help me find this? Last night I had the time of my life seeing my favorite band playing. And what made them even better, is that their lead singer had a light up Pikachu on his amp! 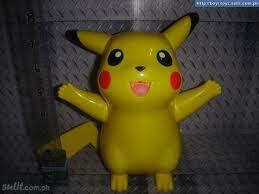 I assume it is this Pika, not sure.. If anyone has one they could sell me, I will seriously be forever greatful. Both lots were won! Payments will be calculated soon. <3 Thanks, everyone! Bidding ends in under 24 hours for the Christmas/random assortment lot GA, so make sure to bid early! The original post will be updated with whether or not we won. Click here or either of the above photos to bid! Hello all, I finally got time to do a little intro post. 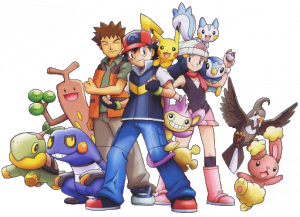 My name is Chris and I have been into pokemon ever since a mysterious gameboy color with blue version ended up in my mailbox long ago. I am into all aspects of the movement, card, tv, games, PLUSH!! Like for many of you, it holds a special place in my heart and made for many great childhood memories. My favorite pokemon is Charizard as I have a passion for fire types- but who am I kidding, the others aren't too far behind! man that's kinda long lol.